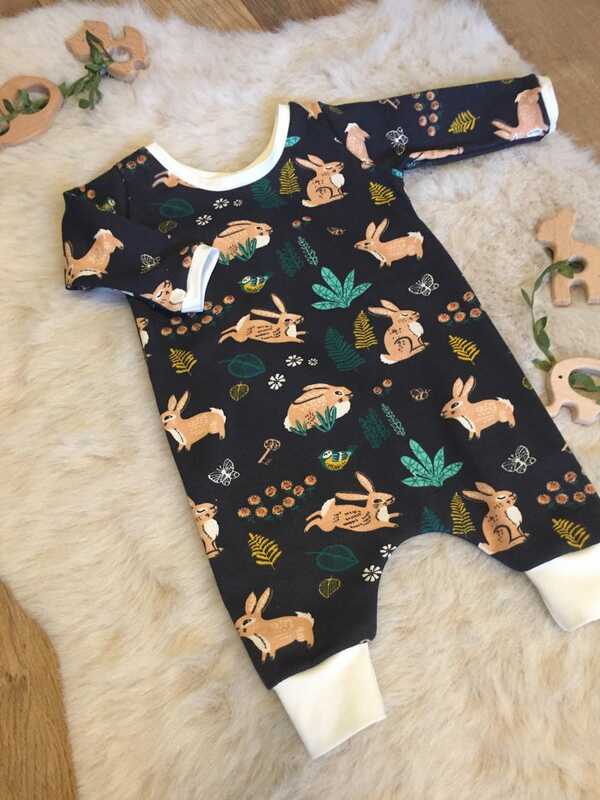 Our Adorable long sleeve Harem Romper is made with our Organic Knit Bunnies on Navy with Organic Cream cuffs and bands. There are no buttons or zipper as this beauty is pulled on through the neck with ease. Scrunch it like a sock and pull it on its so easy! It is a way to keep the wiggling arms and legs at bay. we have lots of other fabrics if you would like more or something different just ask. -wash Cold on gentle cycle with phosphate free detergent and line dry to avoid shrinkage and longest cuteness.